I hope you all had a great Bank Holiday Weekend. Mine was brilliant: I stayed with friends in Weymouth. The sun (unusually, for Bank Holiday) shone and we had a great time at the beach and barbequing. While I was there, I started to think about what I should include in this month’s Cabinet of Curiosities, and I remembered another trip to the Jurassic Coast, last year. The Jurassic Coast is a 95-mile long World Heritage Site, made up of sedimentary rocks which together form a near-complete record of 185 million years of history. Last summer we took a day trip to Lyme Regis. Obviously, I was excited to see the Cobb (famous to all Jane Austen fans as the site of Louisa Musgrove’s accident in Persuasion). What I didn’t expect to find, but what forms today’s entry for the Cabinet of Curiosities, was a table made of fossilised poo. The technical term for fossilised faeces is a coprolite, and they are surprisingly common. You can find the ‘Poo Table’ (as it is un-technically called) in the excellent museum at Lyme Regis. 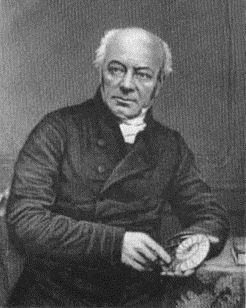 It belonged to William Buckland, first Professor of Geology at Oxford University and later Dean of Westminster. He spent a lot of time in Lyme, working with the fossil hunter Mary Anning. One type of fossil they studied resembled strange round stones. Anning observing that were often found within – or very close to - the skeletons of the sea creatures she had excavated. Buckland reported to the scientific world that these were fossilised faecal matter from the sea creatures, opening up a whole new area of study. Despite this, the table in the Lyme museum does not appear to be made from coprolites from the Lyme area – they are more likely to have come from Edinburgh, from a trip Buckland made in 1834. I would love to say that the reason I’ve chosen this table is because of its symbolism, as an artefact of an amazing time in scientific history. I could talk about the importance of the discovery of coprolites in understanding the reality of the prehistoric world. 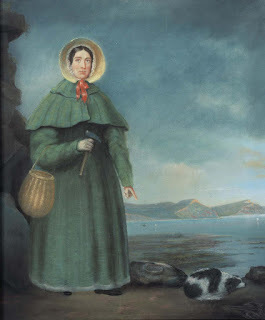 Or I could talk about the relationship between Mary Anning – who was, until recently, largely excised from the historical record - and the ‘scientific gentlemen’ like Buckland who often took the credit for describing and interpreting her discoveries. "[William Buckland’s] son Francis remembered this table in his father’s drawing room where ‘it was often admired by persons who had not the least idea of what they were looking at. I have seen in actual use ear-rings made of polished portions of coprolites… and have made out distinctly the scales and bones of the fish which once formed the dinner of a hideous lizard.’ The ‘belles’ who wore the ear-rings had no idea what they were made of." Who can resist the idea of prim Victorian ladies placing their tea cups demurely on the Dean of Westminster’s side table, with no idea of what it was made of? Or wearing jewellery, thinking only that they were the height of fashion and not that they were wearing something which, if they had known, they would not be able to discuss in fashionable society? Even better, perhaps some of them knew perfectly well what they were doing, and the joke was on the more ignorant members of that society who admired them? Lavatory humour, it seems, like so much else, is not a modern invention. Photos of Buckland and Anning from Wikimedia Commons. Photo of coprolite table my own. Love the idea of poo earrings! And this is no bad place to remind readers of the History Girls' wonderful Daughters of Time anthology, in which I had the pleasure of writing a story about Mary Anning. Came out 3 years ago (!) and still going strong! A lovely post and, Joan, that was a lovely story! What an amazing table! I live on top of a 'dinosaur toilet', sort of. We built our house where coprolites were dug, as they were in a line across East Anglia, in the 1860s so as to be ground into fertiliser. But fossils, as well as coprolites, were often found too, and so we know that both hairy mammoth and rhinos lived in this village in very different times. A lovely post, Charlotte. Were there once ships on the River Meon? The Power, by Naomi Alderman. A sort of review.